This article is part of the Jesus and history series of articles. The historical reliability of the Gospels refers to the reliability and historic character of the four New Testament gospels as historical documents. Some believe that all four canonical gospels meet the five criteria for historical reliability; some say that little in the gospels is considered to be historically reliable. Almost all scholars of antiquity agree that Jesus existed, but scholars differ on the historicity of specific episodes described in the Biblical accounts of Jesus, and the only two events subject to "almost universal assent" are that Jesus was baptized by John the Baptist and was crucified by the order of the Roman Prefect Pontius Pilate. Elements whose historical authenticity is disputed include the two accounts of the Nativity of Jesus, the miraculous events including the resurrection, and certain details about the crucifixion. According to the majority viewpoint the gospels of Matthew, Mark, and Luke, collectively referred to as the Synoptic Gospels, are the primary sources of historical information about Jesus and of the religious movement he founded. The fourth gospel, the Gospel of John, differs greatly from the first three gospels. Historians often study the historical reliability of the Acts of the Apostles when studying the reliability of the gospels, as Acts was seemingly written by the same author as the Gospel of Luke. Historians subject the gospels to critical analysis, attempting to differentiate, rather than authenticate, reliable information from possible inventions, exaggerations, and alterations. Since there are more textual variants in the New Testament (200-400 thousand) than it has letters (c. 140 thousand), scholars use textual criticism to determine which gospel variants could theoretically be taken as 'original'. To answer this question, scholars have to ask who wrote the gospels, when they wrote them, what was their objective in writing them, what sources the authors used, how reliable these sources were, and how far removed in time the sources were from the stories they narrate, or if they were altered later. Scholars can also look into the internal evidence of the documents, to see if, for example, the document is misquoting texts from the Hebrew Tanakh, is making claims about geography that were incorrect, if the author appears to be hiding information, or if the author has made up a certain prophecy. Finally, scholars turn to external sources, including the testimony of early church leaders, writers outside the church (mainly Jewish and Greco-Roman historians) who would have been more likely to have criticized the early churches, and to archaeological evidence. When judging the historical reliability of the gospels, scholars ask if the accounts in the gospels are, when judged using normal standards that historians use on other ancient writings, reliable or not. The main issues are what are the 'original' gospels, whether the original gospel works were accurate eyewitness accounts, and whether those original versions have been transmitted accurately through the ages to us. In evaluating the historical reliability of the Gospels, scholars consider a number of factors. These include authorship and date of composition, intention and genre, gospel sources and oral tradition, textual criticism, and historical authenticity of specific sayings and narrative events. The genre of the gospels is essential in understanding the intentions of the authors regarding the historical value of the texts. New Testament scholar Graham Stanton states that "the gospels are now widely considered to be a sub-set of the broad ancient literary genre of biographies." Charles H. Talbert agrees that the gospels should be grouped with the Graeco-Roman biographies, but adds that such biographies included an element of mythology, and that the synoptic gospels also included elements of mythology. E.P. Sanders states that “these Gospels were written with the intention of glorifying Jesus and are not strictly biographical in nature.” Ingrid Maisch and Anton Vögtle writing for Karl Rahner in his encyclopedia of theological terms indicate that the gospels were written primarily as theological, not historical items. Erasmo Leiva-Merikakis notes that "we must conclude, then, that the genre of the Gospel is not that of pure 'history'; but neither is it that of myth, fairy tale, or legend. In fact, 'gospel' constitutes a genre all its own, a surprising novelty in the literature of the ancient world." Some critics have maintained that Christianity is not founded on a historical figure, but rather on a mythical creation. This view proposes that the idea of Jesus was the Jewish manifestation of a pan-Hellenic cult, known as Osiris-Dionysus, which acknowledged the non-historic nature of the figure, using it instead as a teaching device. Critical scholars have developed a number of criteria to evaluate the probability, or historical authenticity, of an attested event or saying represented in the gospels. These criteria are applied to the gospels in order to help scholars in reconstructions of the Historical Jesus. The criterion of dissimilarity argues that if a saying or action is dissimilar to, or contrary to, the views of Judaism in the context of Jesus or the views of the early church, then it can more confidently be regarded as an authentic saying or action of Jesus. One commonly cited example of this is Jesus' controversial reinterpretation of the Mosaic law in his Sermon on the Mount, or Peter's decision to allow uncircumcised gentiles into what was, at the time, a sect of Judaism. The criterion of embarrassment holds that the authors of the gospels had no reason to invent embarrassing incidents such as the denial of Jesus by Peter, or the fleeing of Jesus' followers after his arrest, and therefore such details would likely not have been included unless they were true. Bart Ehrman, using the criterion of dissimilarity to judge the historical reliability of the claim Jesus was baptized by John the Baptist, notes that "it is hard to imagine a Christian inventing the story of Jesus' baptism since this could be taken to mean that he was John's subordinate." The criterion of multiple attestation says that when two or more independent sources present similar or consistent accounts, it is more likely that the accounts are accurate reports of events or that they are reporting a tradition which pre-dates the sources themselves. This is often used to note that the four gospels attest to most of the same events, but that Paul's epistles often attest to these events as well, as do the writings of the early church, and to a limited degree non-Christian ancient writings. The criterion of cultural and historical congruency says that a source is less credible if the account contradicts known historical facts, or if it conflicts with cultural practices common in the period in question. It is, therefore, more credible if it agrees with those known facts. For example, this is often used when assessing the reliability of claims in Luke-Acts, such as the official title of Pontius Pilate. Through linguistic criteria a number of conclusions can be drawn. The criterion of "Aramaisms" as it is often referred holds that if a saying of Jesus has Aramaic roots, reflecting Jesus' Palestinian context, the saying is more likely to be authentic. The earliest manuscript is a business card sized fragment from the Gospel of John, Rylands Library Papyrus P52, which dates to the first half of the 2nd century. The first complete copies of single New Testament books appear around 200, and the earliest complete copy of the New Testament, the Codex Sinaiticus dates to the 4th century. In the case of the Gospels, the gap of time between authorship and the earliest extant or existing manuscript text is less than other accepted ancient manuscripts, such as the manuscripts attributed to Plato. The earlier existing copy of Plato's dialogues dates about 1,000 years after Plato wrote the text. The conditions of the earliest manuscripts is important, but this does not necessarily impact the reliability, or lack of reliability, of a source. The following table lists the earliest extant Gospel manuscripts. Most scholars hold to the two-source hypothesis which claims that the Gospel of Mark was written first. According to the hypothesis, the authors of the Gospel of Matthew and the Gospel of Luke then used the Gospel of Mark and the hypothetical Q document, in addition to some other sources, to write their individual gospels. Scholars agree that the Gospel of John was written last, by using a different tradition and body of testimony. In addition, most scholars agree that the author of Luke wrote the Acts of the Apostles. Scholars hold that these books constituted two halves of a single work, Luke-Acts. Strictly speaking, each Gospel is anonymous. The Gospel of John is somewhat of an exception, although the author simply refers to himself as "the disciple Jesus loved" and claims to be a member of Jesus' inner circle. During the following centuries, each canonical gospel was attributed to an apostle or to the close associate of an apostle. Most scholars have rejected the traditional attributions. The gospels of Matthew, Mark, and Luke are referred to as the Synoptic Gospels because of a similar sequence and wording. They are also composed in Koine Greek and the majority of Mark and roughly half of Matthew and Luke coincide in content, in much the same sequence, often nearly verbatim. The Synoptic Gospels are the primary sources of historical information about Jesus and of the religious movement he founded. They recount the life, ministry, crucifixion and resurrection of a Jew named Jesus, who spoke Aramaic. There are different hypotheses regarding the origin of the texts because the gospels of the New Testament were written in Greek for Greek-speaking communities, that were later translated into Syriac, Latin and Coptic. Mark is the primary source for information about Jesus. It was possibly composed in Rome or Antiochine Southern Syria. New Testament scholars generally credit its account of Jesus as a Galilean holy man, including his baptism by John the Baptist, his reputation as an exorcist and healer, his preaching about the coming Kingdom of God, his band of close disciples, the disruption he caused at the Temple, his betrayal, and his crucifixion under Pontius Pilate. In 1901, William Wrede challenged the historical reliability of the gospel, concluding especially that Mark portrays Jesus as secretive about his messianic identity because the historical Jesus had never claimed to be the Messiah. Form criticism later revealed that the narrative comprises fragments put in order by Mark, or by someone before him. While the majority of scholars consider Jesus to have been an apocalyptic prophet, as he appears in Mark, a minority of prominent contemporary scholars argue that his coming kingdom was to be a social revolution rather than a supernatural apocalypse. Tradition holds that the Gospel of Mark was written by Mark the Evangelist, as St. Peter's interpreter. Numerous early sources say that Mark's material was dictated to him by St. Peter, who later compiled it into his gospel. The gospel, however, appears to rely on several underlying sources, which vary in form and in theology, and which tell against the story that the gospel was based on Peter's preaching. Most scholars believe that Mark was written by a second-generation Christian, around or shortly after the fall of Jerusalem and the destruction of the Second Temple in year 70. Richard Bauckham has noted that the geography in Mark is accurate when looked at from the perspective of fisherman from Capernaum, which is consistent with Mark relaying the gospel from Peter, who indeed was a fisherman. Many scholars use modern maps to gauge Mark, which often results in errors in judging Mark's geography. A fisherman would not have had a modern map in mind, but instead a mental map based on his experiential world. According to some, Mark's geography was not always accurate, for example Mark 7:31, describing Jesus going from Tyre to the Sea of Galilee by way of Sidon (20 miles farther north and on the Mediterranean coast). The author of Mark did not seem to know that one would not go through Sidon to go from Tyre to the Sea of Galilee, and there was no road from Sidon to the Sea of Galilee in the 1st century, only one from Tyre. Catholic scholars have interpreted this passage as non-problematic since Jesus would have traveled in a wide circle, first north, then east and south. Matthew was most likely written at Antioch, then part of Roman Syria or in Northern Palestine. Most scholars hold that Matthew drew heavily on Mark and added teaching from the Q document. While Matthew arranged this material into compilations, such as the Sermon on the Mount, much of the material goes back to the historical Jesus. According to E. P. Sanders, the infancy narrative is an invention. Matthew presents Jesus' ministry as limited to the Jews, though the resurrected Jesus later commissions the disciples to preach to all the world. Geza Vermes judges that the ministry of Jesus was exclusively for Jews and that the order to proclaim the gospel to all nations was an early Christian development. According to the majority viewpoint, this gospel is unlikely to have been written by an eyewitness. While Papias reported that Matthew had written the "Logia," this can hardly be a reference to the Gospel of Matthew. The author was probably a Jewish Christian writing for other Jewish Christians. Biblical scholars generally hold that Matthew was composed between the years c. 70 and 100. Based upon internal evidence Harrington claims parts of the Gospel of Matthew may have first been written in Aramaic. The birth stories and the resurrection experiences on the other hand were composed in koine Greek. The Ebionim seem to have worked from a version of Matthew in Aramaic, that excluded birth and post resurrection stories. Luke was written in a large city west of Palestine, although Burton Mack, on the basis of its colloquial Greek and clear Pauline connections, and its later acceptance by the heretical Marcionites, suggests an author from Greece or western Asia Minor. Like Matthew, Luke drew on Mark and added material from Q. Luke also includes a large amount of unique material, such as the parable of the good Samaritan, and many of these parables seem to be authentic. Luke emphasizes the universal nature of Jesus' mission and message, but Geza Vermes concludes that this theme is not authentic to the historical Jesus. As is the case with Matthew, much controversy has surrounded the Lukan birth narrative. Some scholars uphold the traditional claim that Luke the Evangelist, an associate of St. Paul who was probably not an eyewitness to Jesus' ministry, wrote the Gospel of Luke and Acts of the Apostles. Others point out that Acts contradicts Paul's own letters and denies him the important title of apostle, suggesting that the author was not a companion of Paul's. As is the case with all the Gospels, it is unknown exactly when the Gospel of Luke was written. Scholars have proposed a range of dates from as early as 60 AD to as late as 90 AD. Donald Guthrie argues, however, that Acts was written in the early 60s AD (since the book ends before the death of Paul, which most probably occurred during the Persecution of the Christians under Nero between AD 64 and AD 68), and therefore the Gospel of Luke would have to have been written prior to that, around AD 60. It is generally agreed that the Gospel of Luke and the Acts of the Apostles were both written by the same author. The most direct evidence comes from the prefaces of each book. Both prefaces were addressed to Theophilus, and Acts of the Apostles (1:1-2) says in reference to the Gospel of Luke, "In my former book, Theophilus, I wrote about all that Jesus began to do and teach until the day He was taken up to heaven, after giving instructions through the Holy Spirit to the apostles He had chosen." (NIV) Furthermore, there are linguistic and theological similarities between the two works, suggesting that they have a common author. Both books also contain common interests. John was likely composed at Ephesus, although other possibilities are Antioch, Northern Syria, Palestine and Alexandria. Some scholars believe that Jesus' teaching in this gospel cannot be reconciled with that found in the synoptics, whilst others, including John A.T. Robinson hold the view that the synoptics are best reconciled within the framework of John. In the majority viewpoint, it is unlikely that John the Apostle wrote the Gospel of John. Rather than a plain account of Jesus' ministry, the gospel is a deeply mediated representation of Jesus' character and teachings, making direct apostolic authorship unlikely. Opinion, however, is widely divided on this issue and there is no widespread consensus. Many scholars believe that the "beloved disciple" is a person who heard and followed Jesus, and the gospel of John is based heavily on the witness of this "beloved disciple." Most scholars date the Gospel of John to c. 80–95. An 11th-century Byzantine manuscript containing the opening of the Gospel of Luke. Textual criticism deals with the identification and removal of transcription errors in the texts of manuscripts. Ancient scribes made errors or alterations (such as including non-authentic additions). In attempting to determine the original text of the New Testament books, some modern textual critics have identified sections as additions of material, centuries after the gospel was written. These are called interpolations. In modern translations of the Bible, the results of textual criticism have led to certain verses, words and phrases being left out or marked as not original. For example, there are a number of Bible verses in the New Testament that are present in the King James Version (KJV) but are absent from most modern Bible translations. Most modern textual scholars consider these verses interpolations (exceptions include advocates of the Byzantine or Majority text). The verse numbers have been reserved, but without any text, so as to preserve the traditional numbering of the remaining verses. The Biblical scholar Bart D. Ehrman notes that many current verses were not part of the original text of the New Testament. "These scribal additions are often found in late medieval manuscripts of the New Testament, but not in the manuscripts of the earlier centuries," he adds. "And because the King James Bible is based on later manuscripts, such verses "became part of the Bible tradition in English-speaking lands." He notes, however, that modern English translations, such as the New International Version, were written by using a more appropriate textual method. Most modern Bibles have footnotes to indicate passages that have disputed source documents. Bible Commentaries also discuss these, sometimes in great detail. While many variations have been discovered between early copies of biblical texts, most of these are variations in spelling, punctuation, or grammar. Also, many of these variants are so particular to the Greek language that they would not appear in translations into other languages. Two of the most important interpolations are the last verses of the Gospel of Mark and the story of the adulterous woman in the Gospel of John. Some critics also believe the explicit reference to the Trinity in 1 John to have been a later addition. 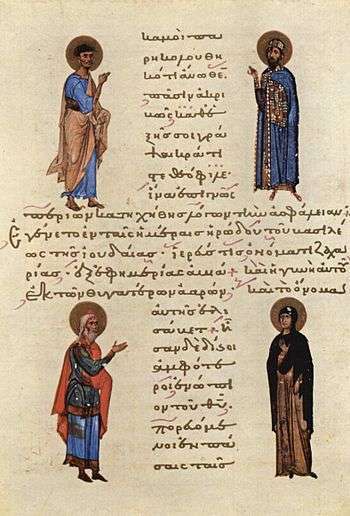 The New Testament has been preserved in more than 5,800 fragmentary Greek manuscripts, 10,000 Latin manuscripts and 9,300 manuscripts in various other ancient languages including Syriac, Slavic, Ethiopic and Armenian. Not all biblical manuscripts come from orthodox Christian writers. For example, the Gnostic writings of Valentinus come from the 2nd century AD, and these Christians were regarded as heretics by the mainstream church. The sheer number of witnesses presents unique difficulties, although it gives scholars a better idea of how close modern bibles are to the original versions. Bruce Metzger says "The more often you have copies that agree with each other, especially if they emerge from different geographical areas, the more you can cross-check them to figure out what the original document was like. The only way they'd agree would be where they went back genealogically in a family tree that represents the descent of the manuscripts. In "The Text Of The New Testament", Kurt Aland and Barbara Aland compare the total number of variant-free verses, and the number of variants per page (excluding orthographic errors), among the seven major editions of the Greek NT (Tischendorf, Westcott-Hort, von Soden, Vogels, Merk, Bover and Nestle-Aland), concluding that 62.9%, or 4999/7947, are in agreement. They concluded, "Thus in nearly two-thirds of the New Testament text, the seven editions of the Greek New Testament which we have reviewed are in complete accord, with no differences other than in orthographical details (e.g., the spelling of names). Verses in which any one of the seven editions differs by a single word are not counted. ... In the Gospels, Acts, and Revelation the agreement is less, while in the letters it is much greater" Per Aland and Aland, the total consistency achieved in the Gospel of Matthew was 60% (642 verses out of 1071), the total consistency achieved in the Gospel of Mark was 45% (306 verses out of 678), the total consistency achieved in the Gospel of Luke was 57% (658 verses out of 1151), and the total consistency achieved in the Gospel of John was 52% (450 verses out of 869). Almost all of these variants are minor, and most of them are spelling or grammatical errors. Almost all can be explained by some type of unintentional scribal mistake, such as poor eyesight. Very few variants are contested among scholars, and few or none of the contested variants carry any theological significance. Modern biblical translations reflect this scholarly consensus where the variants exist, while the disputed variants are typically noted as such in the translations. A quantitative study on the stability of the New Testament compared early manuscripts to later manuscripts, up to the Middle Ages, with the Byzantine manuscripts, and concluded that the text had more than 90% stability over this time period. It has been estimated that only 0.1% to 0.2% of the New Testament variants impact the meaning of the texts in any significant fashion. Authors such as Raymond Brown point out that the Gospels contradict each other in various important respects and on various important details. W. D. Davies and E. P. Sanders state that: "on many points, especially about Jesus’ early life, the evangelists were ignorant … they simply did not know and, guided by rumour, hope or supposition, did the best they could". Modern scholars such as E. P. Sanders, Geza Vermes and Marcus Borg consider both narratives non-historical, arguing that there are contradictions between them. On the other hand, biblical scholar Mark D. Roberts aims to establish a harmonised account of the birth of Jesus, maintaining that any contradictions can be reconciled. Many biblical scholars view the discussion of historicity as secondary, given that gospels were primarily written as theological documents rather than historical accounts. The nativity narratives found in the Gospel of Matthew (Matthew 1:1-17) and the Gospel of Luke (Luke 3:23-38) give a genealogy of Jesus, but the names, and even the number of generations, differ between the two. Some authors have suggested that the differences are the result of two different lineages, Matthew's from King David's son, Solomon, to Jacob, father of Joseph, and Luke's from King David's other son, Nathan, to Heli, father of Mary and father-in-law of Joseph. However, Geza Vermes argues that Luke makes no mention of Mary, and questions what purpose a maternal genealogy would serve in a Jewish setting. Ferrar Fenton, who translated the whole of the Bible into one of the first versions in modern English, omitted the genealogy of Luke, placing it instead as a note at the end of his translation. The reasons that he gave were that Luke's genealogy was inconsistent with Old Testament genealogies and also that the gospel reads more smoothly with this genealogy removed. Fenton thought that it was a gloss that had been added to the original gospel. Both Luke and Matthew date Jesus' birth to within the rule of King Herod the Great, who died in 4BC. :770 However the Gospel of Luke also dates the birth ten years after Herod's death, during the census of Quirinius in 6 AD described by the historian Josephus. Raymond E. Brown notes that "most critical scholars acknowledge a confusion and misdating on Luke's part." Some conservative Christian biblical scholars and commentators still believe the two accounts can be harmonised, arguing that the text in Luke can be read as "registration before Quirinius was governor of Syria", and Tertullian believed that a number of censuses were performed throughout the Roman world under Saturninus at the same time. Geza Vermes has described such approaches as 'exegetical acrobatics'. Raymond E. Brown states that there is an obvious contradiction regarding the death of Judas Iscariot: "Luke's account of the death of Judas in Acts 1:18 is scarcely reconcilable with Matt 27:3-10." In Matthew 27:3-8, Judas returns the bribe he has been given for handing over Jesus, throwing the money into the temple before he hangs himself. The temple priests, unwilling to return the defiled money to the treasury, use it instead to buy a field known as the Potter's Field, as a plot in which to bury strangers. In Acts 1:18, on the other hand, Judas uses the bribe money to buy the field himself, and his death is attributed to injuries from having fallen in this field. Other scholars state that the contradictory stories can be reconciled. In addition to the internal and textual reliability of the gospels, external sources can also be used to assess historical reliability. There are passages relevant to Christianity in the works of four major non-Christian writers of the late 1st and early 2nd centuries – Josephus, Tacitus, Suetonius, and Pliny the Younger. Of the four, Josephus' writings, which document John the Baptist, James the Just, and Jesus, are of the most interest to scholars dealing with the historicity of Jesus. Tacitus, in his Annals written c. 115, mentions Christus, without many historical details (see also: Tacitus on Jesus). There is an obscure reference to a Jewish leader called "Chrestus" in Suetonius. (According to Suetonius, chapter 25, there occurred in Rome, during the reign of emperor Claudius (c. AD 50), "persistent disturbances ... at the instigation of Chrestus". Mention in Acts of "After this, Paul left Athens and went to Corinth. There he met a Jew named Aquila, a native of Pontus, who had recently come from Italy with his wife Priscilla, because Claudius had ordered all the Jews to leave Rome." Additionally, many New Testament passages misquote texts from the Hebrew Tanakh. A basic prophecy appears to be completely made up by an author of the Gospel of Matthew without any source. Paul the Apostle, a 1st-century Pharisaic Jew who experienced a conversion to faith in Jesus, dictated letters to various churches and individuals from c. 48–68. Though there are debates on Paul's authorship for some of these epistles, almost all scholars agree that Paul wrote the central corpus of these letters (such as the Epistle to the Romans and 1 Corinthians). Jerome Murphy-O'Connor believes that the historical Jesus is fundamental to the teachings of Paul, who rejected the separation of the Jesus of faith from the Jesus of history. While not personally an eyewitness of Jesus' ministry, Paul states that he was acquainted with people who had known Jesus: the apostle Peter (also known as Cephas), the apostle John, and James, described as the brother of Jesus (Galatians 1:19). Likewise, Paul alludes to Jesus' humanity and divinity, the Last Supper, his crucifixion, and reports of his resurrection. The authors whose works are contained in the New Testament sometimes quote from creeds, or confessions of faith, that obviously predate their writings. Scholars believe that some of these creeds date to within a few years of Jesus' death, and developed within the Christian community in Jerusalem. Though embedded within the texts of the New Testament, these creeds are a distinct source for Early Christianity. 1 Corinthians 15:3-4 reads: "For what I received I passed on to you as of first importance: that Christ died for our sins according to the Scriptures, that he was buried, that he was raised on the third day according to the Scriptures." This contains a Christian creed of pre-Pauline origin. The antiquity of the creed has been located by many Biblical scholars to less than a decade after Jesus' death, originating from the Jerusalem apostolic community. Concerning this creed, Campenhausen wrote, "This account meets all the demands of historical reliability that could possibly be made of such a text," whilst A. M. Hunter said, "The passage therefore preserves uniquely early and verifiable testimony. It meets every reasonable demand of historical reliability." Other relevant creeds which predate the texts wherein they are found that have been identified are 1 John 4:2: "This is how you can recognize the Spirit of God: Every spirit that acknowledges that Jesus Christ has come in the flesh is from God", "Remember Jesus Christ, raised from the dead, this is my Gospel", Romans|1:3-4: "regarding his Son, who as to his human nature was a descendant of David, and who through the spirit of holiness was declared with power to be the Son of God by his resurrection from the dead: Jesus Christ our Lord. ", and 1 Timothy 3:16: "He appeared in a body, was vindicated by the Spirit, was seen by angels, was preached among the nations, was believed on in the world, was taken up in glory," an early creedal hymn. Julius Africanus, writing c. 221, while writing about the crucifixion of Jesus, refers to the historian Thallus. He wrote, "This darkness Thallus, in his third book of History, calls (as appears to me without reason) an eclipse of the sun." It is not known when Thallus lived, or whether his History made any reference to the crucifixion. Lucian, a 2nd-century Roman satirist, wrote, "the Christians, you know, worship a man to this day — the distinguished personage who introduced their novel rites, and was crucified on that account… You see, these misguided creatures start with the general conviction that they are immortal for all time, which explains the contempt of death and voluntary self-devotion which are so common among them; and then it was impressed on them by their original lawgiver that they are all brothers, from the moment that they are converted, and deny the gods of Greece, and worship the crucified sage, and live after his laws." Celsus wrote, about 180, a book against the Christians, which is now only known through Origen's refutation of it. Celsus apparently accused Jesus of being a magician and a sorcerer and is quoted as saying that Jesus was a "mere man". F. F. Bruce noted that Celsus, in seeking to discredit Jesus, sought to explain his miracles rather than claim they never occurred. Flavius Josephus, a Jew and a Roman citizen who worked under a couple Roman emperors, wrote near the end of the 1st century. In the Testimonium Flavianum, Josephus says Jesus "was the Christ. When Pilate, upon the accusation of the first men amongst us, condemned him to be crucified, those who had formerly loved him did not cease to follow him, for he appeared to them on the third day, living again, as the divine prophets foretold, along with a myriad of other marvellous things concerning him." Concerns have been raised about the authenticity of the passage, and it is widely held by scholars that at least part of the passage has been altered by a later scribe. For example, where the version now says "he was the Christ", its original form may have been "he was thought to be the Christ." Judging from Alice Whealey's 2003 survey of the historiography, it seems that the majority of modern scholars consider that Josephus really did write something here about Jesus, but that the text that has reached us is corrupt. There has been no consensus on which portions have been altered, or to what degree. In the second, brief mention, Josephus calls James "the brother of Jesus, who was called Christ." The great majority of scholars consider this shorter reference to Jesus to be substantially authentic (although the parallel passage is missing from The Jewish War). In about 112, the Roman governor of Bithynia et Pontus, Gaius Plinius Caecilius Secundus (better known as Pliny the Younger), wrote to Emperor Trajan, regarding Christians who were refusing to worship the emperor. His letters show the Christians in his day to be very strongly devoted, and enough of a problem for him to request advice from the emperor. Tacitus, writing c. 116, included in his Annals a mention of Christianity and "Christus", viewed by most scholars as a reference to Jesus. In describing Nero's persecution of this group following the Great Fire of Rome c. 64, he wrote, "Nero fastened the guilt of starting the blaze and inflicted the most exquisite tortures on a class hated for their abominations, called Christians by the populace. Christus, from whom the name had its origin, suffered the extreme penalty during the reign of Tiberius at the hands of one of our procurators, Pontius Pilatus, and a most mischievous superstition, thus checked for the moment, again broke out not only in Judaea, the first source of the evil, but even in Rome." There have been suggestions that this was a Christian interpolation but most scholars conclude that the passage was written by Tacitus. R. E. Van Voorst noted the improbability that later Christians would have interpolated "such disparaging remarks about Christianity". Suetonius (c. 69–140) wrote in his Lives of the Twelve Caesars about riots which broke out in the Jewish community in Rome under the emperor Claudius. He said, "As the Jews were making constant disturbances at the instigation of Chrestus, he [ Claudius ] expelled them [the Jews] from Rome". The event was noted in Acts 18:2. The term Chrestus also appears in some later texts applied to Jesus, and Robert Graves, among others, consider it a variant spelling of Christ, or at least a reasonable spelling error. In the Christian-Jewish-dialogue, texts from the Jewish Bible are known for being misquoted and altered in Christian scripture. Along the translation process of original Hebrew script into Christian Greek script, alterations, mistranslations, interpretative variants, fabrications and misquotations occurred. A famous example may be the translation of the Hebrew term almah עַלְמָה in Isaiah 7:14, meaning “young woman”, as “virgin” in Matthew 1:22-23. Further, the Gospel of Matthew inconsistently claims, the title Nazarene for Jesus was derived from Old Testament prophecy "He will be called a Nazorean" (Matthew 2:22-23), but that prophecy does not exist in the Hebrew Tanach. The Talmud, a series of religious documents redacted by Jewish scholars between 200 and 500 CE, refer to persons named "Jesus" using the term "Yeshu." These references of Jesus in the Talmud probably date back to the 2nd century. One important reference relates the trial and execution of person named Yeshu and his disciples, saying "On the eve of Passover they hung Yeshu and the crier went forth for forty days beforehand declaring that "[Yeshu] is going to be stoned for practicing witchcraft, for enticing and leading Israel astray....But no one had anything exonerating for him and they hung him on the eve of Passover". These early possible references to Jesus have little historical information independent from the gospels, but they can be interpreted to reflect a historical picture of Jesus as a man who had disciples and was brought to death as a criminal during Passover. F. F. Bruce noted that, in attempting to discredit Jesus, the passage sought to explain his miracles rather than claim they never occurred. Around the time these passages were being written, Mara (a Syrian Stoic) was imprisoned by the Romans and wrote a letter to his son. In it he said, "For what benefit did...the Jews by the murder of their Wise King, seeing that from that very time their kingdom was driven away from them? For with justice did God grant a recompense...and the Jews, brought to desolation and expelled from their kingdom, are driven away into every land." CCEL Some scholars believe this describes the fall of Jerusalem as the gods' punishment for the Jews having killed Jesus. The Dead Sea scrolls are 1st century or older writings that show the language and customs of some Jews of Jesus' time. According to Henry Chadwick, similar uses of languages and viewpoints recorded in the New Testament and the Dead Sea scrolls are valuable in showing that the New Testament portrays the 1st century period that it reports and is not a product of a later period. Skeletal remains of Jehohanan, 1st-century CE crucifixion victim from Givat HaMivtar in Jerusalem, with a nail still lodged inside the heel bone. Archaeological tools are very limited with respect to questions of existence of any specific individuals from the ancient past. According to Eric Cline, there is no direct archaeological evidence on the existence of a historical Jesus or any of the apostles since the most direct way to address the existence of anyone in the past archaeologically, would be with a body. Craig Evans notes that archaeologists have some indirect information on Jesus' life and experiences from archaeological finds from Nazareth, the High Priest Ciaphas' ossuary, numerous synagogue buildings, and Jehohanan, crucified victim that had a Jewish burial after execution. A potential location of the House of Peter, which may have housed Jesus while he was in Capernaum, is another find. Other various details mentioned in the gospels have been verified by archaeological evidence, such as the Pool of Bethesda, the Pool of Siloam, the Temple Mount platform extension by King Herod, and a mosaic from a third century church in Megiddo mentioning Jesus. Richard Bauckham has argued that the topography found in the Gospel of Mark, when looked from the view of a fisherman from Capernaum, is quite accurate. Thomas Howe examined Luke's description of Paul's sea journeys, including Luke's references to thirty-two countries, fifty-four cities, and nine islands, and stated that he could not find any mistakes. However, Mark Allan Powell believes that Luke’s knowledge of Palestinian geography seems so inadequate that one prominent scholar was led to remark “Jesus route cannot be reconstructed on a map, and in any case Luke did not possess one”. 1 2 3 4 5 Sanders, E. P. (1993). The Historical Figure of Jesus. Penguin. 1 2 Charles H. Talbert, What Is a Gospel? The Genre of Canonical Gospels pg 42 (Philadelphia: Fortress Press, 1977). ↑ Jesus Remembered by James D. G. Dunn 2003 ISBN 0-8028-3931-2 page 339 states of baptism and crucifixion that these "two facts in the life of Jesus command almost universal assent". ↑ Crossan, John Dominic (1995). Jesus: A Revolutionary Biography. HarperOne. p. 145. ISBN 0-06-061662-8. That he was crucified is as sure as anything historical can ever be, since both Josephus and Tacitus...agree with the Christian accounts on at least that basic fact. ↑ James G. D. Dunn, Jesus Remembered, (Eerdmans, 2003) page 779-781. ↑ Funk, Robert W. and the Jesus Seminar. The acts of Jesus: the search for the authentic deeds of Jesus. HarperSanFrancisco. 1998. "Empty Tomb, Appearances & Ascension" p. 449-495. ↑ Bruce M. Metzger's Textual Commentary on the Greek New Testament: Luke 24:51 is missing in some important early witnesses, Acts 1 varies between the Alexandrian and Western versions. 1 2 "The Synoptic Gospels, then, are the primary sources for knowledge of the historical Jesus" "Jesus Christ." Encyclopædia Britannica. 2010. Encyclopædia Britannica Online. 27 November 2010 . 1 2 3 Vermes, Geza. The authentic gospel of Jesus. London, Penguin Books. 2004. ↑ Bart D. Ehrman: Misquoting Jesus - The Story Behind Who Changed the Bible and Why, p. 90 (review). 1 2 Paul Rhodes Eddy & Gregory A. Boyd, The Jesus Legend:A Case for the Historical Reliability of the Synoptic Jesus Tradition. (2008, Baker Academic).309-262. 1 2 3 The Gospel of Matthew claims, the title Nazarene for Jesus was derived from the prophecy "He will be called a Nazorean" (Matthew 2:22-23), despite the lack of any Old Testament source. ↑ "Historicity", The Oxford English Dictionary. 1 2 Craig L. Blomberg, Jesus and the Gospels: An Introduction and Survey (2nd Edition).425. ↑ Craig L. Blomberg, Historical Reliability of the Gospels (1986, Inter-Varsity Press).19-72. ↑ Paul Rhodes Eddy & Gregory A. Boyd, The Jesus Legend:A Case for the Historical Reliability of the Synoptic Jesus Tradition. (2008, Baker Academic).237-308. ↑ Craig L. Blomberg, Jesus and the Gospels: An Introduction and Survey (2nd Edition).424. ↑ Graham Stanton, Jesus and Gospel. p.192. ↑ Richard Bauckham, Jesus and the Eyewitnesses. 117. ↑ James D.G. Dunn, "Messianic Ideas and Their Influence on the Jesus of History," in The Messiah, ed. James H. Charlesworth. pp. 371-372. Cf. James D.G. Dunn, Jesus Remembered. ↑ Norman Perrin, Rediscovering the Teaching of Jesus 43. ↑ Christopher Tuckett, "Sources and Method" in The Cambridge Companion to Jesus. ed. Markus Bockmuehl. 132. ↑ Meier, John P., A Marginal Jew: Rethinking the Historical Jesus, Doubleday: 1991. vol 1: pp. 168–171. ↑ Bart D. Ehrman, The New Testament:A Historical Introduction to the Early Christian Writings.194-5. ↑ Bart D. Ehrman, The New Testament:A Historical Introduction to the Early Christian Writings.193. ↑ Stanley E. Porter, The Criteria for Authenticity in Historical-Jesus Research: previous discussion and new proposals.127. ↑ Complete photographic facsimile in Allen, T. W., Codex Oxoniensis Clarkianus 39 Phototypice editus, 2 vols. Leiden 1898–9. ↑ Howell, Martha C.; Prevenier, Walter (2001). From Reliable Sources: An Introduction to Historical Methods. Cornell University Press. p. 19. ISBN 0-8014-8560-6. Historians must thus always consider the conditions under which a source was produced—the intentions that motivated it—but they must not assume that such knowledge tells them all they need to know about its “reliability.” They must also consider the historical context in which it was produced—the events that preceded it, and those that followed. ↑ Willker, Wieland (17 April 2008). "Complete List of Greek NT Papyri". ↑ Peter, Kirby (2001–2007). "Early Christian Writings: Gospel of Mark". Retrieved 2008-01-15. ↑ Achtemeier, Paul J. (1992). "The Gospel of Mark". The Anchor Bible Dictionary. 4. New York, New York: Doubleday. p. 545. ISBN 0-385-19362-9. ↑ M.G. Easton, Easton's Bible Dictionary (Oak Harbor, WA: Logos Research Systems, Inc., 1996, c1897), "Luke, Gospel According To"
↑ Meier, John P. (1991). A Marginal Jew. 2. New York, New York: Doubleday. pp. 955–6. ISBN 0-385-46993-4. ↑ Helms, Randel (1997). Who Wrote the Gospels?. Altadena, California: Millennium Press. p. 8. ISBN 0-9655047-2-7. 1 2 Harris, Stephen L., Understanding the Bible. Palo Alto: Mayfield. 1985. ↑ Bart Ehrman - The History of the Bible: The Making of the New Testament Canon The Teaching Company, Lesson 12. ↑ Carr, David M.; Conway, Colleen M. (8 March 2010). An Introduction to the Bible: Sacred Texts and Imperial Contexts. John Wiley & Sons. p. 233. ISBN 978-1-4051-6738-3. ↑ '[A]s the earliest Gospel, [Mark] is the primary source of information about the ministry of Jesus.' "The Gospel According to Mark." Encyclopædia Britannica. 2010. Encyclopædia Britannica Online. 15 November 2010 . ↑ Bernd Kollmann, Joseph Barnabas (Liturgical Press, 2004), page 30. ↑ Senior, Donald P. (1998). "Mark". In Ferguson, Everett. Encyclopedia of Early Christianity (2nd ed.). New York and London: Garland Publishing, Inc. p. 719. ISBN 0-8153-3319-6. ↑ Theissen, Gerd and Annette Merz. The historical Jesus: a comprehensive guide. Fortress Press. 1998. translated from German (1996 edition). p. 24-27. ↑ Funk, Robert W.; Hoover, Roy W.; The Jesus Seminar (1993). The five Gospels: the search for the authentic words of Jesus: new translation and commentary. New York, New York: Macmillan. ISBN 0-02-541949-8. ↑ Crossan, John Dominic (1991). The historical Jesus: the life of a Mediterranean Jewish peasant. San Francisco, California: HarperSanFrancisco. ISBN 0-06-061629-6. ↑ Eisenman, Robert H. (1998). James the Brother of Jesus: The Key to Unlocking the Secrets of Early Christianity and the Dead Sea Scrolls. Penguin Books. p. 56. ISBN 0-14-025773-X. 1 2 Bauckham, Richard. "The Gospels as Eyewitness Accounts" (PDF). Retrieved 21 March 2015. ↑ C. E. B. Cranfield, The Gospel According to St Mark, page 250 (Cambridge University Press, 1959). ↑ Dennis Nineham, The Gospel of St Mark, pages 40, 203 (New York: Seabury, 1968). ↑ '[T]he order to proclaim the good news of salvation to all the nations must be struck out from the list of the authentic sayings of Jesus.' Vermes, Geza. The authentic gospel of Jesus. London, Penguin Books. 2004. Chapter 10: Towards the authentic gospel. p. 376–380. ↑ "Numerous textual indications point to an author who was a Jewish Christian writing for Christians of similar background." "Gospel According to Matthew." Encyclopædia Britannica. 2010. Encyclopædia Britannica Online. 27 November 2010 . ↑ Ehrman 2004, p. 110 and Harris 1985 both specify a range c. 80-85; Gundry 1982, Hagner 1993, and Blomberg 1992 argue for a date before 70. ↑ "Luke will have been composed in a large city west of Palestine." Theissen, Gerd and Annette Merz. The historical Jesus: a comprehensive guide. Fortress Press. 1998. translated from German (1996 edition). p. 32. ↑ "biblical literature." Encyclopædia Britannica. 2010. Encyclopædia Britannica Online. 15 November 2010 . ↑ '[T]he order to proclaim the good news of salvation to all the nations must be struck out from the list of the authentic sayings of Jesus.' Vermes, Geza. The authentic gospel of Jesus. London, Penguin Books. 2004. Chapter 10: Towards the authentic gospel. p. 370-397. ↑ The tradition is "occasionally put forward." Theissen, Gerd and Annette Merz. The historical Jesus: a comprehensive guide. Fortress Press. 1998. translated from German (1996 edition). p. 32. ↑ The author was "certainly not a companion of Paul." Theissen, Gerd and Annette Merz. The Historical Jesus: a Comprehensive Guide. Fortress Press. 1998. translated from German (1996 edition). p. 32. ↑ Brown, Raymond E. (1997). Introduction to the New Testament. New York: Anchor Bible. p. 226. ISBN 0-385-24767-2. ↑ Guthrie, Donald (1970). "Nine". New Testament Introduction (third ed.). Downer's Grove, IL: InterVarsity Press. pp. 340–345. ISBN 0-87784-953-6. ↑ Horrell, DG, An Introduction to the study of Paul, T&T Clark, 2006, 2nd Ed.,p.7; cf. W. L. Knox, The Acts of the Apostles (1948), p. 2-15 for detailed arguments that still stand. ↑ on linguistics, see A. Kenny, A stylometric Study of the New Testament (1986). ↑ Udo Schnelle. The History and Theology of the New Testament Writings, p. 259. ↑ F. F. Bruce, The Acts of the Apostles (1952), p2. ↑ Aune, David. The Westminster dictionary of New Testament and early Christian literature. p. 243. ↑ 'John, however, is so different that it cannot be reconciled with the Synoptics except in very general ways (e.g., Jesus lived in Palestine, taught, healed, was crucified and raised). . . The greatest differences, though, appear in the methods and content of Jesus’ teaching. . . Scholars have unanimously chosen the Synoptic Gospels’ version of Jesus’ teaching.' "Jesus Christ." Encyclopædia Britannica. 2010. Encyclopædia Britannica Online. 15 November 2010 . ↑ Robinson 1977 p. 125. ↑ Brown, Raymond E. (1997). Introduction to the New Testament. New York: Anchor Bible. p. 164. ISBN 0-385-24767-2. ↑ Kirby, Peter. "Gospel of Mark" earlychristianwritings.com Retrieved January 30, 2010. ↑ Thompson, M.M. “John, Gospel of.” In Dictionary of Jesus and the Gospels, edited by Joel B. Green, 370. Downers Grove, IL: IVP, 2013. ↑ "NETBible: John 7". Bible.org. Retrieved 2009-10-17. See note 139 on that page. ↑ Keith, Chris (2008). "Recent and Previous Research on the Pericope Adulterae (John 7.53—8.11)". Currents in Biblical Research. 6 (3): 377–404. doi:10.1177/1476993X07084793. ↑ 'Pericope adulterae', in FL Cross (ed. ), The Oxford Dictionary of the Christian Church, (New York: Oxford University Press, 2005). 1 2 3 K. Aland and B. Aland, "The Text of the New Testament: An Introduction to the Critical Editions & to the Theory & Practice of Modern Textual Criticism", 1995, op. cit., p. 29-30. 1 2 Heide, K. Martin (2011). "Assessing the Stability of the Transmitted Texts of the New Testament and the Shepherd of Hermas". In Stewart, Robert B. Bart D. Ehrman & Daniel B. Wallace in Dialogue: The Reliability of the New Testament. Fortress Press. pp. 134–138, 157–158. ISBN 9780800697730. ↑ Brown, Raymond Edward (1999-05-18). The Birth of the Messiah: A Commentary on the Infancy Narratives in the Gospels of Matthew and Luke (The Anchor Yale Bible Reference Library). Yale University Press. p. 36. ISBN 0-300-14008-8. ↑ W.D Davies and E. P. Sanders, 'Jesus from the Jewish point of view', in The Cambridge History of Judaism ed William Horbury, vol 3: the Early Roman Period, 1984. ↑ Vermes, Géza (2006-11-02). The Nativity: History and Legend. Penguin Books Ltd. p. 64. ISBN 0-14-102446-1. ↑ Sanders, E. P. The historical figure of Jesus. Penguin, 1993. Sanders discusses both birth narratives in detail, contrasts them, and judges them not historical on pp. 85–88. ↑ Marcus Borg, 'The Meaning of the Birth Stories' in Marcus Borg, N T Wright, The Meaning of Jesus: Two Visions (Harper One, 1999) page 179: "I (and most mainline scholars) do not see these stories as historically factual." ↑ Warren, Tony. "Is there a Contradiction in the Genealogies of Luke and Matthew?" Created 2/2/95 / Last Modified 1/24/00. Accessed 4 May 2008. ↑ Geza Vermes, The Nativity: History and Legend, (Penguin, 2006), page 42. ↑ Raymond E. Brown, An Adult Christ at Christmas: Essays on the Three Biblical Christmas Stories, (Liturgical Press, 1988), p. 17. For example, Dunn, James Douglas Grant (2003), Jesus Remembered, Eerdmans. p. 344. ISBN 0-8028-3931-2 Similarly, Erich S. Gruen, 'The expansion of the empire under Augustus', in The Cambridge ancient history Volume 10, p. 157. Geza Vermes, The Nativity, Penguin 2006, p. 96. Anthony Harvey, A Companion to the New Testament (Cambridge University Press 2004), p. 221. Meier, John P., A Marginal Jew: Rethinking the Historical Jesus. Doubleday, 1991, v. 1, p. 213. Brown, Raymond E. The Birth of the Messiah: A Commentary on the Infancy Narratives in Matthew and Luke. London: G. Chapman, 1977, p. 554. A. N. Sherwin-White, pp. 166, 167. ↑ Archer, Gleason Leonard (April 1982). Encyclopedia of Bible Difficulties. Grand Rapids, Mich.: Zondervan Pub. House. p. 366. ISBN 0-310-43570-6. ↑ Frederick Fyvie Bruce, The New Testament Documents: Are They Reliable? (1943; republished Eerdman, 2003), pp. 87–88. ↑ Geza Vermes (2 November 2006). The Nativity: History and Legend. Penguin Books Limited. pp. 28–30. ISBN 978-0-14-191261-5. ↑ Raymond E. Brown, An Introduction to the New Testament, p.114. ↑ Alfred Edersheim Life and Times of Jesus the Messiah, 5.xiv, 1883. ↑ Life and Times of Jesus the Messiah, 5.xiv, 1883. 1 2 Kravitz, Rabbi Zalman. "Misquoting Texts – What does Tanach really say". jewsforjudaism.org. Jews For Judaism. Retrieved 15 July 2014. ↑ Joseph Barber Lightfoot in his Commentary on the Epistle to the Galatians writes: "At this point Gal 6:11 the apostle takes the pen from his amanuensis, and the concluding paragraph is written with his own hand. From the time when letters began to be forged in his name (2 Thess 2:2; 3:17) it seems to have been his practice to close with a few words in his own handwriting, as a precaution against such forgeries… In the present case he writes a whole paragraph, summing up the main lessons of the epistle in terse, eager, disjointed sentences. He writes it, too, in large, bold characters (Gr. pelikois grammasin), that his handwriting may reflect the energy and determination of his soul." ↑ Jerome Murphy-O'Connor (1 May 1998). Paul: a critical life. Oxford University Press. pp. 91–. ISBN 978-0-19-285342-4. Retrieved 28 July 2010. ↑ see Wolfhart Pannenberg, Jesus – God and Man translated Lewis Wilkins and Duane Pribe (Philadelphia: Westminster, 1968)p. 90; Oscar Cullmann, The Early church: Studies in Early Christian History and Theology, ed. A. J. B. Higgins (Philadelphia: Westminster, 1966) p. 66–66; R. E. Brown, The Virginal Conception and Bodily Resurrection of Jesus (New York: Paulist Press, 1973) pp. 81; Thomas Sheehan, First Coming: How the Kingdom of God Became Christianity (New York: Random House, 1986 pp. 110, 118; Ulrich Wilckens, Resurrection translated A. M. Stewart (Edinburgh: Saint Andrew, 1977) p. 2; Hans Grass, Ostergeschen und Osterberichte, Second Edition (Gottingen: Vandenhoeck und Ruprecht, 1962) p96; Grass favors the origin in Damascus. ↑ James L. Bailey; Lyle D. Vander Broek (1992). Literary forms in the New Testament: a handbook. Westminster John Knox Press. pp. 83–. ISBN 978-0-664-25154-3. Retrieved 31 July 2010. ↑ Morton Smith, Jesus the Magician: Charlatan or Son of God? (1978) pp. 78–79. 1 2 Bruce, F.F. (1981). The New Testament Documents: Are They Reliable?. InterVarsity Press. ↑ Chronicle, Olympiad 202, trans. Carrier (1999). ↑ Tertullian, Apologeticus, Chapter 21, 19 cited in Bouw, G. D. (1998, Spring). The darkness during the crucifixion. The Biblical Astronomer, 8(84). Retrieved November 30, 2006 from . ↑ Alice Whealey, Josephus on Jesus (New York, 2003) p.194. ↑ Singer, Rabbi Tovia. "Does the Hebrew Word Alma Really Mean "Virgin"?". outreachjudaism.org. Outreach Judaism. Retrieved 15 July 2014. ↑ Douglas R. Edwards (2004). Religion and society in Roman Palestine: old questions, new approaches. Routledge. pp. 164–. ISBN 978-0-415-30597-6. Retrieved 4 August 2010. ↑ Henry Chadwick (2003). The Church in ancient society: from Galilee to Gregory the Great. Oxford University Press. pp. 15–. ISBN 978-0-19-926577-0. Retrieved 4 August 2010. ↑ George J. Brooke (1 May 2005). The Dead Sea scrolls and the New Testament. Fortress Press. pp. 20–. ISBN 978-0-8006-3723-1. Retrieved 4 August 2010. 1 2 3 Cline, Eric H. (2009). Biblical Archaeology : A Very Short Introduction. Oxford: Oxford University Press. ISBN 0195342631. ↑ Evans, Craig. "The Archaeological Evidence For Jesus". Huffington Post. ↑ "The House of Peter: The Home of Jesus in Capernaum?". Biblical Archaeology Society. ↑ Howe, Thomas, "When Critics Ask" (Wheaton Ill: Victor, 1992), 385. ↑ Powell, Mark (1989). What are they saying about Luke?. Paulist Press. p. 6. ISBN 0-8091-3111-0. Barnett, Paul W. (1997). Jesus and the Logic of History (New Studies in Biblical Theology 3). Downers Grove, Illinois: InterVarsity Press. ISBN 0-385-49449-1. Barnett, Paul W. (1987). Is the New Testament History?. Servant Publications. ISBN 0-89283-381-5. Blomberg, Craig L. (2008). The Historical Reliability of the Gospels (2nd ed.). IVP Academic. ISBN 978-0-8308-2807-4. Brown, Raymond E. (1993). The Death of the Messiah: from Gethsemane to the Grave. New York: Anchor Bible. ISBN 0-85111-512-8. Gerhardsson, Birger (2001). The Reliability of the Gospel Tradition. Peabody, Ma: Hendrickson. ISBN 1-56563-667-8. The Authenticity of Mark 16:9–20 A detailed defense of Mark 16:9–20, featuring replicas of portions of Codex Vaticanus and Codex Sinaiticus and a list of early patristic evidence.